One of the most popular traditions of the holidays is giving and receiving presents. For most people, the joy of giving gifts to loved ones is tempered by the thoughts of having to pay off a huge January credit card bill. But you don't have to go into debt to make sure that everyone gets something special this season. Use these 10 money saving tips, so you don't have to feel like a Grinch. 1. Participate in a gift exchange. Buying gifts for everyone in a group of friends or all of your coworkers can get expensive. This year have everyone draw a name and buy just one gift for that person. Don't forget to set a price limit on the gift to avoid competitive gifting. 2. Re-gifting. Regardless of the bad name that re-gifting has received through the years, there is no reason it should be a social taboo. If you get a gift which you truly believe someone you know would appreciate more than you, don't be ashamed of re-gifting it. Just be sure that the person who gave you the gift in the first place doesn't find out. 3. Give an experience. Things are wonderful but present someone with the opportunity to experience something different and exciting is almost always better. Taking your nieces and nephews out for a day of sailing is a much better gift than buying them something they will lose or get bored with quickly. 4. Provide a service. Has that classic car been sitting in your brother's garage for years gathering dust? Why not offer to fix it up for him? If you are not a car expert, there must be something you can do well enough to offer as a gift. You can also swap your service to someone else in exchange something you can give as a gift. 5. Bake or make something. Yes, homemade gifts can be a bit too artsy sometimes. But you can avoid an uncomfortable situation by giving something the recipient will actually enjoy using or eating. The holiday season is the perfect time to give out your 'secret recipe' to anyone who has been asking for a copy. 6. Shop out of season. 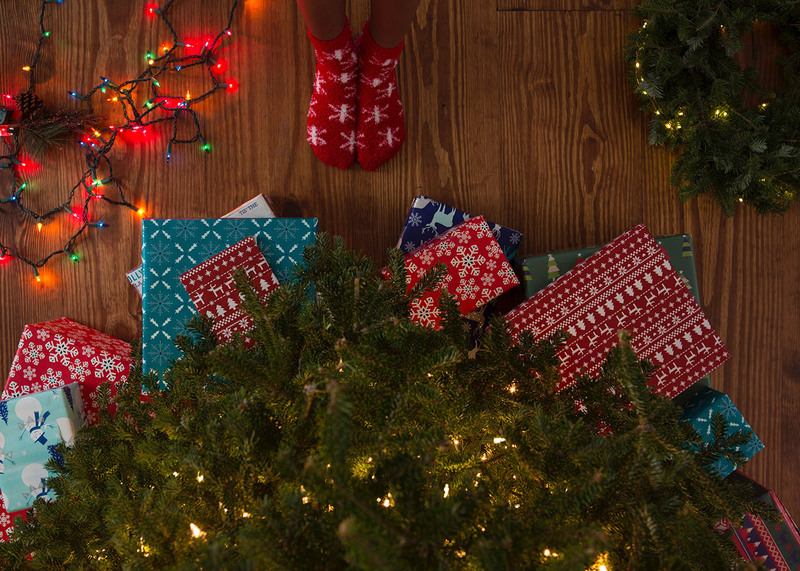 If you plan ahead, you can stock up on gifts throughout the year when they go on sale. It is a good idea to stow away a few gifts in the back of your closet for an unexpected occasion. 7. Purchase a couple or family gift. Save money by foregoing individual gifts and give a more significant shared present. Not only will you cut down on your budget, but you also won't have to shop for as many presents. 8. Shop smart. Look for two-for-one deals, introductory offers, and special discounts. Lots of subscription services have fantastic prices to get you hooked on the service. Just be sure to cancel the subscription before it auto-renewals at full price. 9. Send E-Cards. For some people on your list like a former college roommate or a family friend, you usually just send a holiday card each year. Why not save on the cost of a card and postage by sending an E-Card this year? The person will know you are thinking of her, and you can save a ton of cash, not to mention paper. 10. Start giving your grown kids their inheritance now. Do your kids have a favorite piece of furniture or painting they already called 'dibs' on? Why not give it to them now as a holiday present? Not only will you save money and delight your children but you can have the pleasure of watching them enjoy it. Are you concerned about ensuring your legacy lives on? A qualified financial planner can help you find the best ways to pass on wealth to your children. Speak with a qualified financial advisor today.